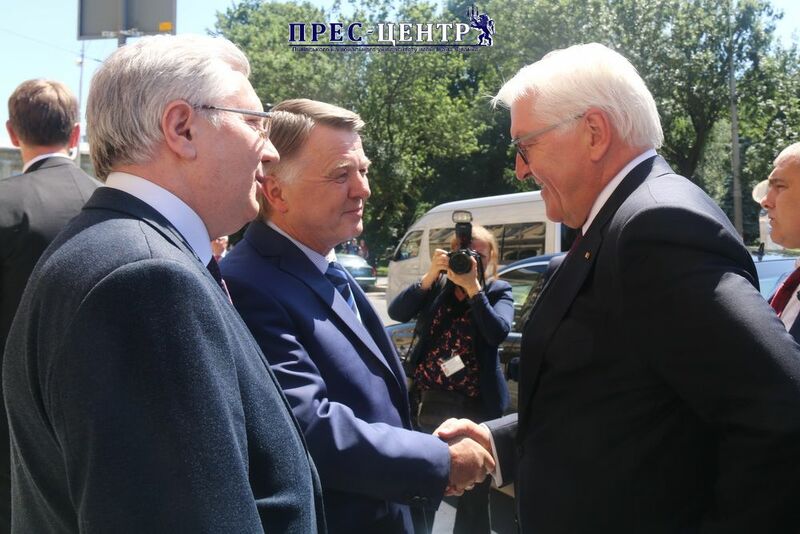 On May 30, 2018, the President of Germany visited the Ivan Franko Lviv National University. In the framework of the visit, he met the Rector of the University, Corresponding Member of the National Academy of Sciences of Ukraine and Professor Volodymyr Melnyk. He also visited Museum of the History of the University and had a talk with students of the Foreign Languages Faculty. This very meeting with young Germanists and interpreters became a central point in the whole visit of the German high-ranking official. 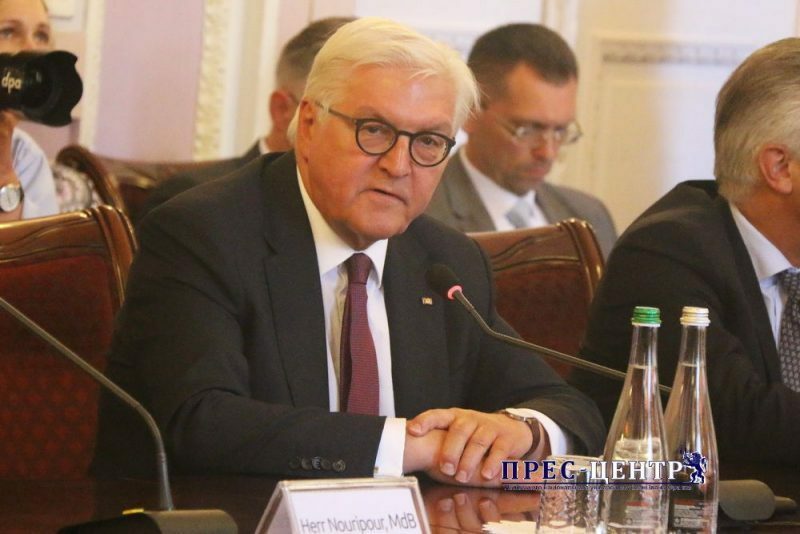 The German President’s ambition to visit Lviv National University was not coincidental for the traditions of learning and teaching German, translating and collaboration with German-speaking countries are the oldest in Ukraine. In fact, the President had an opportunity to see it for himself during the meeting with students of the Department of Intercultural Communication and Translation and the Department of German Philology. The conversation was interesting, lively and fruitful as an issue for discussion were students’ career plans, German-Ukrainian cultural cooperation (to mention that this year Germany and Ukraine celebrate German-Ukrainian language year dedicated to the 25th anniversary of the establishment of diplomatic relations between the two countries). The discussion also touched the political issues — the war in eastern Ukraine, influence increase of nationalist and radical parties in Western Europe, students’ view on the political future of Ukraine. In general, the visit of the President to Lviv University testified one more time an importance of further development German-Ukrainian diplomatic, economic and cultural relations based on the principles of mutual benefit for both sides. Having such a reliable and strong partner as Germany, Ukraine will be able to intensify the process of reforming and European integration, provide a decent futureб economic prosperity and political stability. 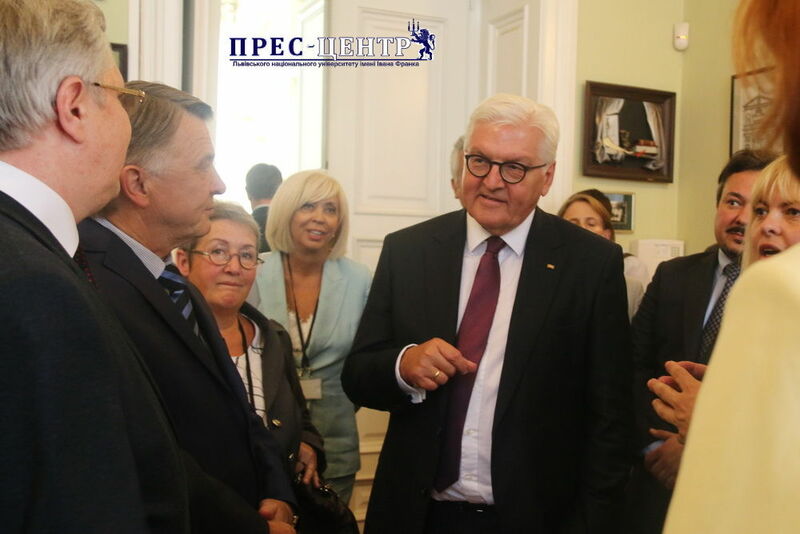 At the end of the meeting, the German Federal President Frank-Walter Steinmeier wished the students and workers of the University success and prosperity. He also admitted that staying at Lviv University, which became an important point of positive changes in Eastern Europe, was a great honor for him. The Rector thanked the guest for attending and expressed expectations for further effective cooperation. By Volodymyr Melnyk, Germany is a strategic partner for Ukraine and its support to Ukraine is crucial for the whole Europe.